Almost five years after images surfaced of a mentally ill inmate wallowing in a cell full of human waste and bugs, the Harris County jail has cut in half its use of solitary confinement. The decrease is due in part to a decision to stop putting rule-breakers in solitary, officials say, and in part to the creation of two rehabilitative mental health units that provide a path out of isolation. In the fall of 2014, the jail had 240 inmates isolated in so-called administrative separation. By March of this year, that number had plummeted to 122, or just over 1 percent of the jail’s population, according to data from the office of Sheriff Ed Gonzalez. The following year, in an effort to shift mentally ill inmates out of isolation, the jail launched the first of two pilot programs. 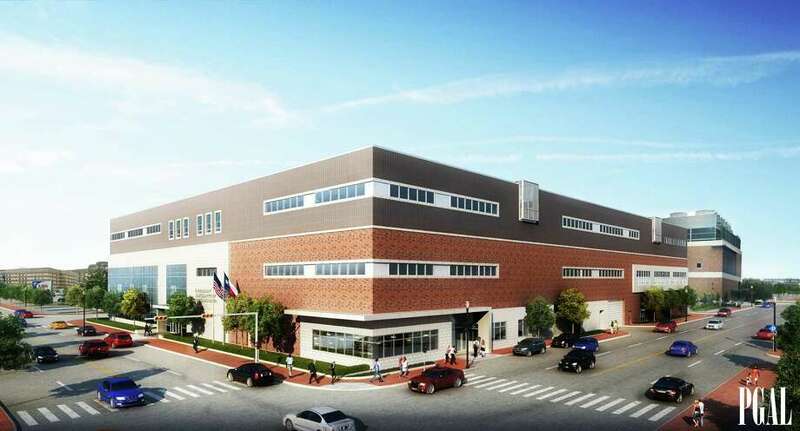 The 2015 initiative, now known as the Social Learning Program and housed in the 2L unit at the 1200 Baker complex, holds just under two dozen inmates who get 16 hours of out-of-cell time per day. “They were in the hole — but now they’re not because of the program,” said Major Mike Lee, who oversees the jail’s mental health and diversion programs. In the 2L unit, arrestees get programming and cognitive behavioral therapy-based groups twice a day. Groups focus on communication skills, medication management and anger management. “It’s so they won’t resort to the same behaviors when they get out,” said Sean McElroy, the jail’s mental health program administrator through The Harris Center. But part of the goal is also that, after some time spent in the program, the inmates can be transferred back to general population. “It’s something we feel is in everybody’s best interest,” Martin said. Michele Deitch, a criminal-justice expert and senior lecturer at the LBJ School of Public Affairs at the University of Austin, concurred, adding that mentally ill inmates are often at a higher risk for landing in solitary. This is what I want to see. This change in policy is more humane, will lead to better outcomes, and will ultimately cost the county less money. And it’s just heartening to see the Sheriff’s office staying on top of staying on top of the research and following the best practices. We deserve and should expect nothing less. Houston’s non-violent misdemeanor offenders will soon be cleaning up trash and invasive plant species plants along Buffalo Bayou in an initiative to help offenders clear up their criminal record, Harris County District Attorney Kim Ogg announced Wednesday. The program, dubbed “Clean and Green,” has existed in several incarnations since the 1970’s and was one of Ogg’s campaign promises when she ran for DA in 2014, and again when she won in 2016. Misdemeanor offenders, 17 and older, will be allowed to clean up litter and invasive plants, skim waterways and perform other conservation services in public spaces across the county, especially along bayous and tributaries, according to Ogg. Eligibility for the program, which starts this month, will be determined by prosecutors on a case-by-case basis and excludes defendants facing domestic violence, assault or weapons charges. The initiative is expected to offer 160 offenders a month the opportunity to avoid a criminal record while reducing tax dollars currently spent on traditional prosecution and punishment of those offenders. If selected, participants will be required to work one or two six-hours shifts. They will have to pay $240 to participate, unless they are indigent. Completion of the program fulfills the community-service requirement of pre-trial diversion contracts. If they successfully complete the program, their criminal case will be dismissed and the arrest can be expunged, Ogg said. I approve of all of this. 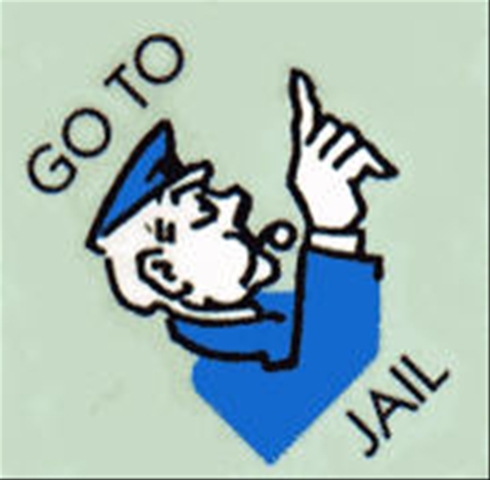 This is what we should want to do with non-violent misdemeanor offenders. And yes, it’s what we voted for. Keep up the good work. We need to lock up fewer kids for bad reasons. Hundreds of juveniles are jailed in Harris County often for weeks at a time for infractions as minor as failing drugs tests, violating curfews, running away or failing to attend school classes or rehabilitative programs, according to county records. The records show a “pattern and practice” of detaining juveniles for technical violations that should instead be handled through the probation system, according to attorneys and juvenile justice advocates. “You’re not complying with the terms of probation, but you’re not actually a risk to public safety,” said Elizabeth Henneke, an attorney with the Lone Star Justice Alliance, which advocates against incarcerating juvenile offenders. Of the 1,055 juveniles cited for a probation violation in 2016, nearly 73 percent were detained, a proportion Henneke said is alarming, particularly in a county where the 250-capacity juvenile justice center has faced recurrent overcrowding problems for several years. It is the largest percentage of juveniles ordered detained on probation violations since at least 2003, when 69 percent of 1,502 juveniles were detained, according to data from the Harris County Juvenile Probation Department. The most recent 2017 data, which goes through Oct. 15, shows that 73 percent of juveniles continued to be jailed for probation violations – an average of 55 kids each day. The average length of time spent behind bars on the violations ranged from nine days for leaving the county without permission to 30 days for violating special probationary terms, which can include specific judge-ordered requirements such as routine drug assessments or compliance with taking medication. The Trib then went and wrote an even longer story on the same topic. 1) These kids were on probation, meaning they had committed lesser offenses to begin with. 2) They were put in jail for breaking a rule, not a law. Kids do break rules sometimes. It’s what kids do. 3) Putting kids in jail leads to all kinds of bad effects, from missed school to exposing them to real criminals to endangering their safety. 4) It costs money to detain and guard these kids, and detaining them does nothing to further the rehabilitative efforts that probation was supposed to foster. 5) Anyone want to bet that the kids who do get detained for probation violations will turn out to be disproportionately black and Latino? Let’s do less of this, okay? And if you’re looking for a political solution, remember the names of Juvenile Court Judges Glenn Devlin and John Phillips, both Republicans and both on the ballot this year. Different judges will be our best shot at getting different results. This past Friday, January 12th, Harris County Sheriff Ed Gonzalez held a press conference along with Houston Justice representative Charnelle Thompson and Harris County Tax Office Communication and Media Relations Director Tracy Baskin, to announce what many are calling the most ambitious effort ever undertaken to help qualified incarcerated citizens register to vote who are currently in the Harris County Jail. That initiative is called Project Orange. Project Orange is the brainchild of Houston Justice co-founder and Executive Director Durrel Douglas, whose first job out of high school was as a prison guard at a Texas prison. Douglas was moved to start this initiative after seeing how incarcerated individuals, who happened to make a mistake in their lives, were treated before and after being behind those prison bars. As part of the Project Orange initiative, for four consecutive Sundays, beginning this past weekend, volunteers from Houston Justice will be escorted through the jail with voter registration cards that qualified inmates will be able to fill out. In addition, Houston Justice is staffing voter registration booths in the visitation waiting areas at the 1200 Baker Street and at the 701 San Jacinto locations. 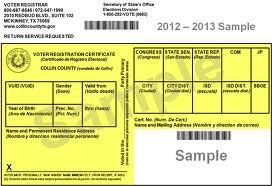 “Qualified” means just what it says – people who are legally eligible to register to vote. As the story notes, some 70% of people in the Harris County jail have not yet been convicted of anything. Many of them will not be convicted of anything, and many of the rest will plead to or be convicted of a misdemeanor. All of them have as much right to vote as you and I do. And if you still don’t like the idea of a dedicated effort to register a bunch of mostly low-level inmates at the jail, I have good news for you: You can support bail reform, so that there are far fewer of those inmates in one convenient place at a time to be registered. It’s a win-win. DA Kim Ogg moves forward on more campaign promises. During a press conference Tuesday, Ogg laid out in broad strokes the policy recommendations written by the committees and emphasized that she is seeking participation from experts and Houston’s leaders. Ogg released the full reports from committees on officer-involved shootings, evidence integrity, equality, immigration, bail-bond reform, mental health and diversity. Many of the reforms proposed using technology and data more efficiently to streamline the criminal justice system, such as moving to a paperless district attorney’s office or using evidence-based risk assessments to determine bail amounts. Tarsha Jackson, the Harris County Director with the Texas Organizing Project, was on the bail bond committee and applauded Ogg for involving people with different backgrounds, some with conflicting interests. You can see the committee reports here. The themes all came from the campaign, and however you feel about the conclusions, I’d hope we can all respect a process that involved a broad spectrum of stakeholders who worked together across a range of perspectives. The Press read through the reports so you don’t have to. Among the most noteworthy is the passing mention that Ogg’s administration “will work with all of the Harris County Law Enforcement agencies” to implement cite and release “for appropriate misdemeanor crimes,” which was not mentioned during the press conference. This has been a topic of debate for years, if not a full decade, after the Texas Legislature authorized police in 2007 to issue citations for various small-time crimes rather than arresting people and hauling them to jail. It’d be like getting a traffic ticket, then going to court for it later. It applies to crimes such as driving with an invalid license, criminal mischief, graffiti and possession of less than four ounces of pot (Ogg already diverts most pot cases). Also noteworthy are plans to expand mental health diversion. Staci Biggar, a Houston defense attorney who was on Ogg’s mental health transition team panel, said that the idea was to transition people charged with low-level crimes like trespassing, often related to a person’s mental illness, away from jail and into treatment. Rather than asking for money to fund a program, she said judges can still issue pretrial diversion contracts to mentally ill defendants and individualize the terms based on that person’s needs. 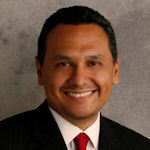 Other noteworthy nuggets from the eight transition team reports include the end to hiking bail to sometimes tens of thousands of dollars for suspected undocumented immigrants; vetting expert witnesses in capital murder cases more extensively and never “expert shopping”; and releasing to the public body-cam footage of officer-involved shootings as long as it does not impede an ongoing investigation — among various recommendations from the officer-involved shooting panel headed by former Houston police chief C.O. Bradford. As Ogg says, you can judge her by her results in 2020. I think she’s off to a great start. Harris County will have another chance to defend its embattled cash bail system this fall in a lawsuit brought by indigent defendants who languished in jail for days because they couldn’t afford money bail. The Fifth U.S. Circuit Court of Appeals announced Tuesday it has set oral arguments for the week of Oct. 2 in New Orleans. Each side will have a half hour to argue before a panel of three judges, officials said. The panel of judges will likely then take its decision under advisement, according to lawyers familiar with typical proceedings. 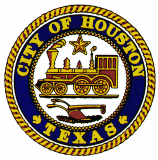 The county appealed the April 28 injunction issued by Chief U.S. District Judge Lee H. Rosenthal of the Southern District of Texas, in which she found that Harris County’s cash bail system discriminated against poor misdemeanor defendants. 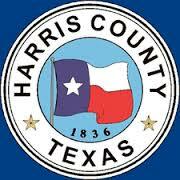 Harris County has spent $4 million on outside counsel to defend the case, according to latest county estimates, with a high-powered D.C. lawyer firm now on retainer. You know where I stand on this. I just wonder how much more fight the county will have if they lose at this level, or even if they just fail to get an injunction against the current order. Do they plan to take this to the Supreme Court if necessary? How much influence is the Attorney General’s office exerting on this? There are a lot of questions that need to be answered. You decriminalized the possession of small amounts of marijuana. Jeff Sessions has signaled that he seeks to ramp up the war on drugs. What power does the federal government hold over your policy decisions? I enjoy total discretion under Texas law as to who I charge and with what crime. The federal government has never been able or even really wanted to influence local prosecutors in terms of individual charging decisions. I don’t fear Sessions’ interference, although I think that states — certainly states where marijuana is legal — may face states’ rights battles with the federal government. What pushback have you faced in Texas? The lieutenant governor accused me of creating a sanctuary city. I think he’s looking to pick a fight with Houston. It seemed like a partisan attack more than a substantive one. He said Houston would become a drug-user sanctuary, and then I heard the same language being used by [DA] Brett Ligon of Montgomery County. They have the same political consultant, Allen Blakemore. I think it was posturing simply because I did something that was popular and pragmatic. The program will save about $27 million a year — either save it or redirect it. I think this presents a clear and present threat to the Republican power structure, the fact that local Democratic government in Harris County is moving forward on this reform agenda that has bipartisan support. They’ve got an eye toward the 2018 election cycle. Will this attack have any impact on Harris County? Or is this all just noise and politics? Anything is possible, but the evidence will speak for itself. In the first six weeks of the program we’ve diverted 576 people [from jail], and the savings is over $1.5 million. The program will rise and fall based on whether we’re continuing to save lives and money. Of those 576 people that have been diverted so far, I know that none of them have lost their job because of an arrest for a misdemeanor amount of marijuana. I know that none of them have been turned away from a housing opportunity because of the marijuana conviction. So far, so good on both the human and the fiscal front. There’s more, so go read the rest. One thing to observe, eight months into Ogg’s first term of office, is how tranquil things have been. 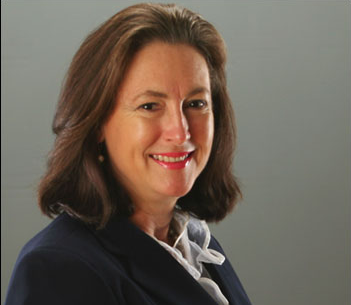 Kim Ogg has cleaned house, made major changes to how low-level drug cases are handled, has sided with the plaintiffs in the lawsuit over the county’s bail practices, and inherited a controversial murder case (David Temple) that requires a retry–or-dismiss decision. Yet so far there has been little controversy, and basically no news stories of the “what is going on with the DA’s office” variety. She’s had a lot to do, she’s had a lot that she wanted to do and promised to do, and so far she’s done it with a minimum of fuss. That’s quite an accomplishment. That said, once the Legislature is out and election season kicks in, the politics of this will get interesting. Ogg is in opposition to Republican judges and County Commissioners on the bail issue, and she opposes the “sanctuary cities” law, which will put her even more in Dan Patrick’s crosshairs. And not to put too fine a point on it, but with Annise Parker in the private sector (modulo a decision on her part to run for County Judge next year), Kim Ogg is now the most high profile gay person holding political office in Texas. That in and of itself would make her a target. Don’t be surprised when – not if – she is prominently featured in some ugly attack ads next year.